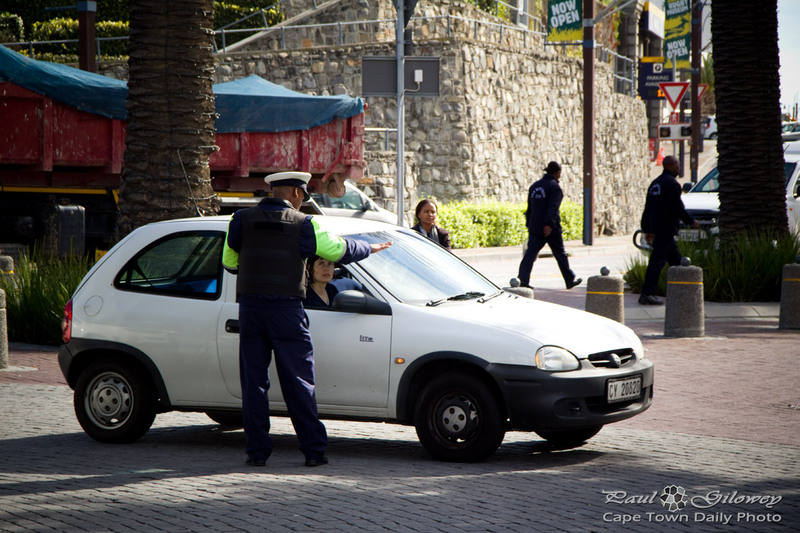 Posted in General and tagged security, v&a waterfront on Friday, 20 June, 2014 by Paul. I found this fence in one of the quiet up-market neighbourhoods of Stellenbosch. Most of the properties in this area either have high walls, electric fences, barbed wire, or a combination of these surrounding them. 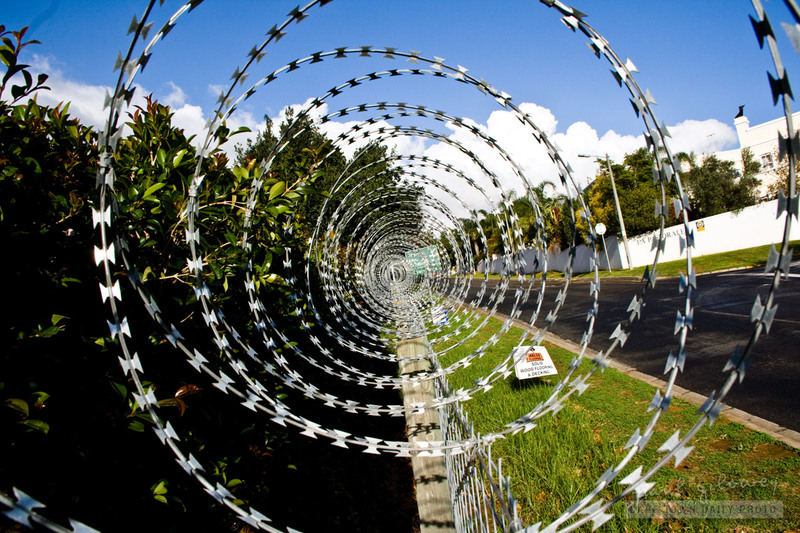 Most people in the suburbs of Johannesburg and Durban have high walls and electric fences surrounding their properties. It's quite different in Cape Town though - what you see here isn't really the norm. In Cape Town you'll find that some houses are protected like fortresses and others don't even have a fence, nor a burglar alarm - some times homes in Cape Town don't even have burglar bars. Posted in General and tagged security on Sunday, 3 July, 2011 by Paul.